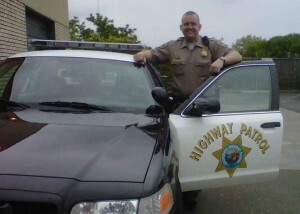 Traffic School New Policy Effective July 1, 2011, California courts must report traffic safety violations as convictions. If the driver is eligible and completes a Traffic Violator School (TVS) course, the conviction will be masked on the driver record. The driver record will be checked to determine a driver’s eligibility to participate in a traffic school course. A TVS conviction will not be masked if: • There is a prior TVS dismissal/conviction within the previous 18 months. • The conviction is a major (2 point) violation. • The driver holds a commercial driver license or was operating a commercial vehicle, at the time of the violation. A traffic school abstract of conviction will be the basis for assignment of negligent operator points on a person’s driving record. Background The courts currently offer a driver cited for a traffic safety violation the option to attend a traffic school. When a driver completes the course, the court dismisses the violation and reports the dismissal to the DMV, preventing negligent operator points from being assigned, and the abstract from being the basis for suspension, revocation, or commercial disqualification actions. What does it mean? – Many courts used to allow drivers to attend traffic school more than once every 18 month. This option is now taken away from the courts and will be regulated by the DMV. Courts also will not have an option to refer a defendant to traffic school for a more serious violation like DUI, Reckless Driving Etc.